Tuesday, February 7, 1865.Washington, DC. President receives Cong. Colfax (Ind.) for talks about Hampton Roads Conference. Colfax to Lincoln, 8 February 1865, Abraham Lincoln Papers, Library of Congress, Washington, DC. Cabinet meets. "Very little before the Cabinet." Welles, Diary. President makes brief call on F. P. Blair, Sr. Blair to Lincoln, 8 February 1865, Abraham Lincoln Papers, Library of Congress, Washington, DC. Interviews A. M. Laws regarding permit to trade in cotton. Abraham Lincoln to Ulysses S. Grant, February 1865, CW, 8:267-68. R. A. Gray, representing H. Jouette Gray of Harrisonburg, Va., calls on President relative to collecting ground rents. Abraham Lincoln to James Speed, 7 February 1865, CW, 8:268. Lincoln writes William Lloyd Garrison, antislavery leader and publisher, to thank him and group of donors for painting entitled "Watch Night-, or Waiting for the Hour." Abraham Lincoln to William Lloyd Garrison, 7 February 1865, CW, 8:265-66. President Lincoln telegraphs Lieutenant Colonel John Glenn with the 120th Colored Infantry, Henderson, Kentucky, in response to reports that Glenn has been "forcing negroes into the Military service" using "tortur[e]...to extort their consent." 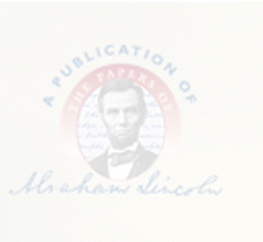 Lincoln warns, "The like must not be done by you, or any one under you. You must not force negroes any more than white men." Abraham Lincoln to John Glenn, 7 February 1865, CW, 8:266.